My father, Ronald, was a thriller writer in the 60s and 70s so I grew up surrounded by authors. That actually put me off till I was about 30, when I realised I had a vocation. That coincided with me being made redundant by the shipping company I was working for in Antwerp and moving to Greece. 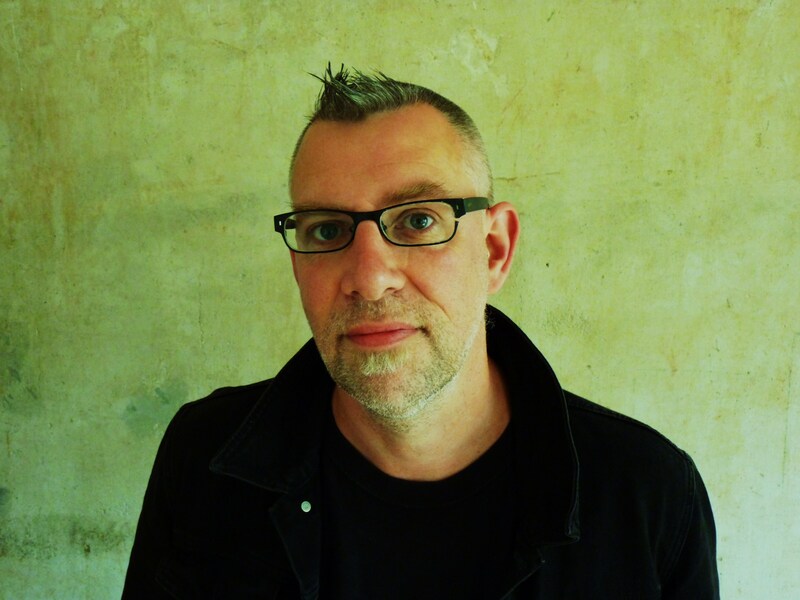 There then followed a self-imposed seven-year apprenticeship, during which I wrote three unpublished and unpublishable novels (one editor responded, ‘the strangest novel I’ve ever read’, which almost made rejection worthwhile). My agent at the time suggested I try writing what I enjoyed reading. Whence crime. I’ve been a fan of crime fiction since my early teens and I think sneaking into The Godfather when I was fifteen was what really piqued my fascination with people doing bad things. I’d like to think that my style – or rather styles, as I write several very different series – has developed into my own. But there’s no doubt I have several ‘masters’ – Conan Doyle (for the language as much as dear old Sherlock), Hammett, Chandler, Jim Thompson, George V Higgins and many more. Oh, and Dickens – a great crime writer (among other things). Oh, and R L Stevenson – ditto. As I said, I wrote three novels that were generally greeted with little interest – good for the soul as well as the technique, I told myself. I attracted an editor in 1995, when the crime genre was much more elastic than it is now, at least as regards big publishers. I doubt Hodder and Stoughton would pick up the Quint novels now – it’s too hard to sell crossover crime and SF..
All the protagonists have a lot of me in them – Quint Dalrymple, Alex Mavros, Matt Wells, even the mixed race female cop, Joni Pax. They’re my cerebral side, but what I’ve only realised recently is that their sidekicks are equally important as they represent my more earthy side. 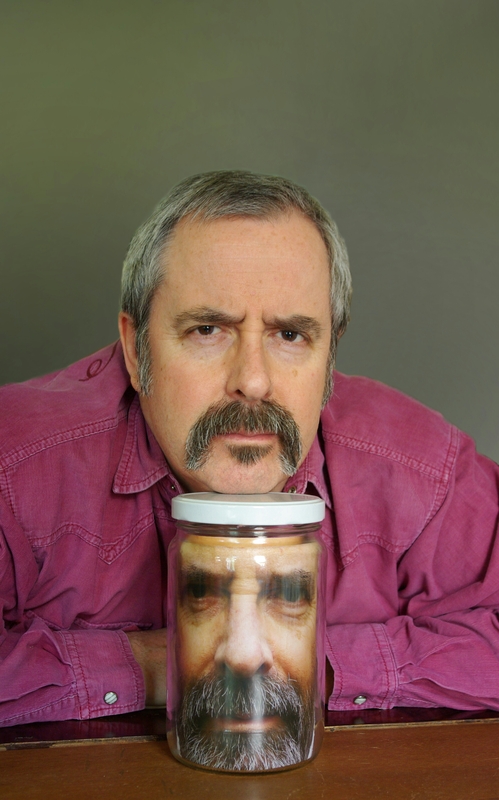 I do a lot of research – much more than is strictly necessary, though it probably all helps. With the Quint novels I invented an Orwellian independent Edinburgh, which involved reading a lot of dystopian novels. The Mavros novels, set in Greece, meant that I had to dig up my old classical education as well as read a lot about the modern country. The Black Life (2013), which deals with the fate of the Jews of Thessaloniki, was such a major subject that I immersed myself in it and almost drove myself mad. I still don’t know why I did that. Some things just have to be written about. 7. Are the characters in your books based on any real life people? Generally not. Sometimes I take aspects of people I know and combine them with other elements. In Body Politic I turned an idiotic ex-boss into a serial killer. The subject matter and the ways I handle it. Black humour and satire are major features too. Although other people have set novels in futuristic Scotland and modern Greece, I hope my takes on them are original. Who wants to copy other writers? The seventh Quint novel, Skeleton Blues, is out on Hogmanay – I didn’t plan that, though any excuse for a party. I’ve just finished the first novel in a new series, but I’m afraid I can’t talk about it till my editor’s passed comment. None of them. Writing is hard work, especially when you take on dark themes. 12. As a known crime writer, do you have words of advice you can share? The House of Dust (Hodder and Stoughton, 2001) Shortlisted for Sherlock Award for best detective novel; and for John W. Campbell Memorial Award for Best Science Fiction Novel. Body Politic (Hodder and Stoughton, 1997) Winner, Crime Writers’ Association John Creasey Memorial Dagger for Best First Crime Novel. A Deeper Shade of Blue (Hodder and Stoughton, 2002) Republished in 2009 as Crying Blue Murder by MIRA Books. 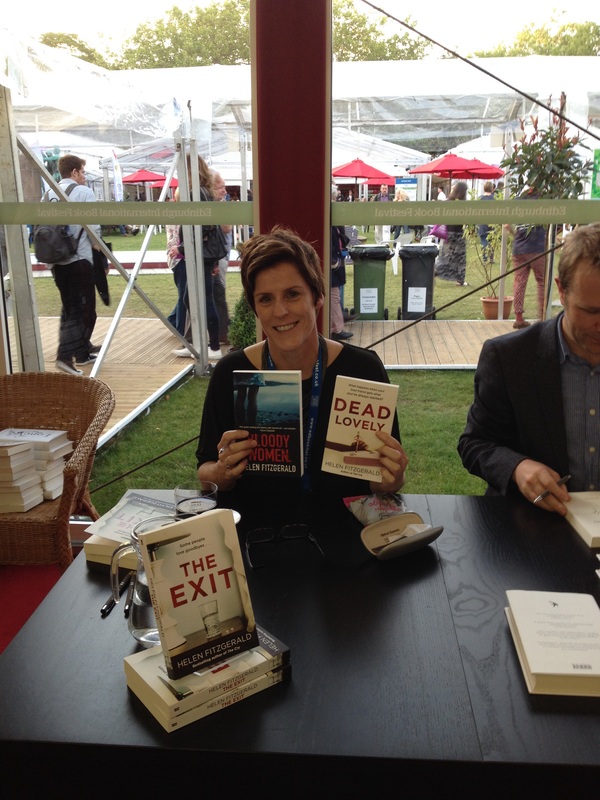 The Death List (MIRA Books, 2007) Shortlisted for Barry Award for best British crime novel. Can you ever get over the death of your sister? Or of your best friend? More than 30 years after 13-year-old Shona McIver was raped and murdered in Portobello, the seaside suburb of Edinburgh, the crime still casts a shadow over the lives of her brother Tom and her best friend Sarah. When modern DNA evidence shows that the wrong man was convicted of the crime, the case is reopened. So who did kill Shona? Sarah and Tom are caught up in the search for Shona’s murderer, and suspicions fall on family and friends. The foundations of Sarah’s perfect family life begin to crumble as she realises that nothing is as it appears. Dark secrets from the past are uncovered, and there is another death, before the identity of the real killer is finally revealed…Set in Edinburgh, the Outer Hebrides and South Africa, Sewing the Shadows Together is a thoroughly modern murder mystery that keeps the reader guessing to the end. Filled with characters who could easily be friends, family or people we work with, it asks the question: Do we ever really know the people closest to us? 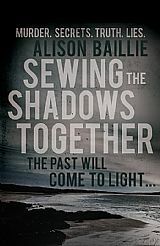 Sewing the shadows together by Alison Baillie is a fast paced and exciting debut novel, that is a welcome addition to the Tartan Noir pack. It reminds me of a classic who dun it that you would have expected from the like of Agatha Christie but with a modern twist. What makes this novel is the way in which the author has written about her characters, you can really tell that she really cares about them, there stories, there relationships and there felling jump out from the pages of the book and makes the reader really feel and care for them, it’s like they are real people that you know personally not just characters in a novel. What then follows is a well plotted psychological suspense story with a distinct air of family drama, from the start of the book the author manages to keep the Pace of the novel, so that the reader are taken on a roller coaster of a ride through out the novel up to the last pages. This is accomplished as we follow the families through a thirty year journey, from the murder investigation and all that entails, but also about the tangled relationships that exist between the main characters. Any return to the past, and a life once led, is always fraught with the danger of reawakening uncomfortable memories, and this story is all about the memories of the past, and about how people are shaped by what has happened to them, whether it be good, or bad and I really enjoyed following their progress, as the cracks in their individual stories start to appear, I had great fun in trying to figure out who had hidden the most secrets and trying to figure out what really happened, which in turn kept me on the edge of my seat until the truth was finally revealed. I can’t wait to see what this talented authors does next, she is definitely one to watch. 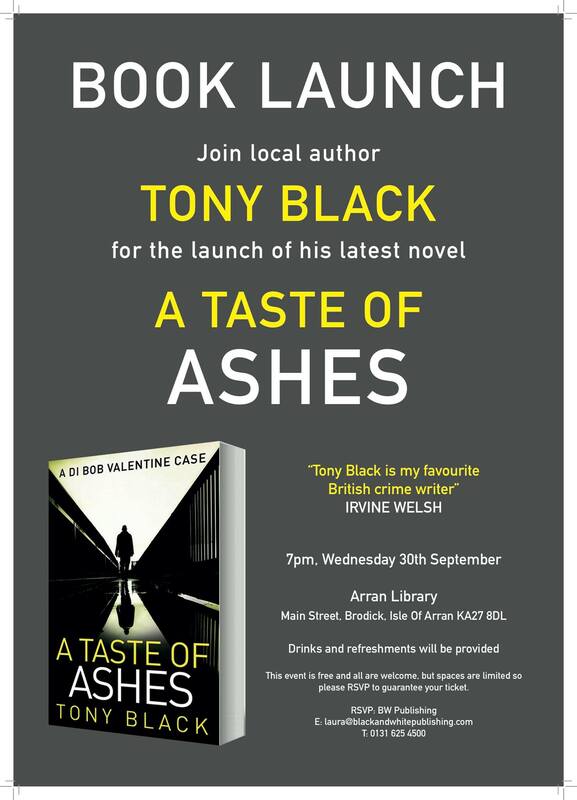 If you are looking for a good read for your kindle that won’t break the bank, and you like Scottish crime fiction then this is the novel for you. Get it for free up to this Friday. 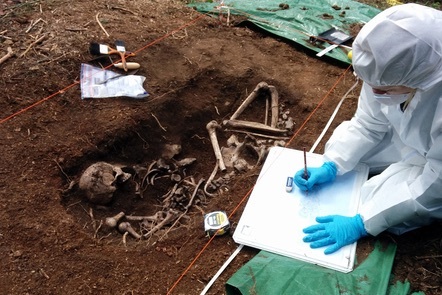 Starting from Monday 7th September the University of Dundee and Future Learn have put together a free introductory course for 4hours over Six Weeks where you are tasked with Uncovering a grave, examining remains and revealing the victim’s identity, that wil be linked to a new Val McDermid story. 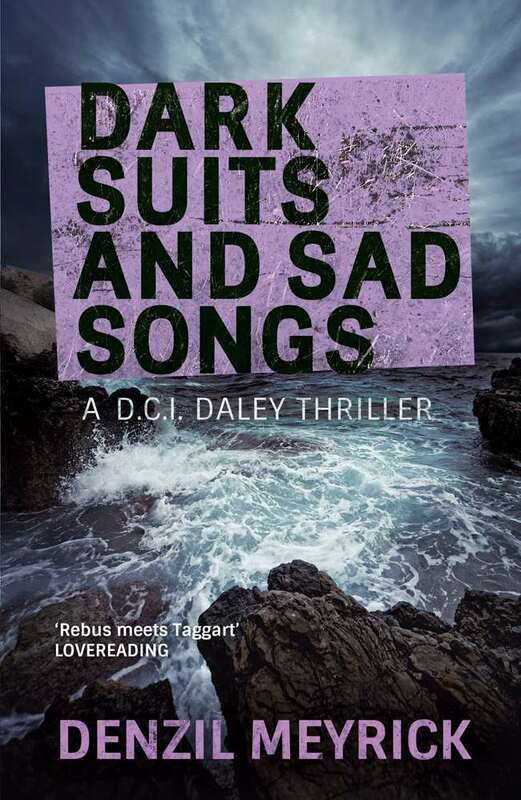 The third installment in the bestselling DCI Daley series, packed with accurate police procedure and gritty, dark humour. 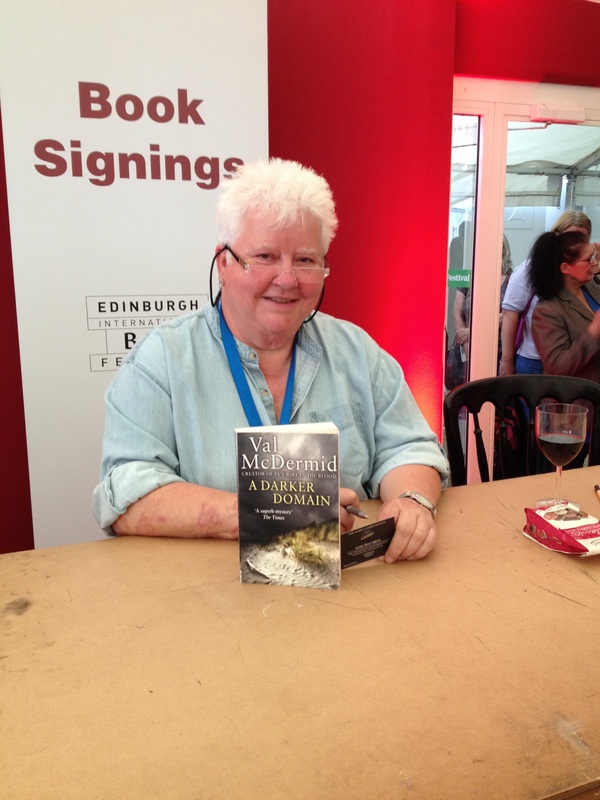 The best of Scottish crime. I started writing short stories when I was a student, experimenting with a lot of styles, mostly imitative of whatever writers I was into at the time. A few years ago I wrote a pretty generic crime novel, which I’m now happy didn’t get published. So The Disappearance of Adèle Bedeau was really my second attempt. I didn’t set out to write a crime novel as such. The book started with the characters and the setting. The element of mystery – The Disappearance – was just something that happening in writing process, but it turned out to be a good way of placing the central character in a position of jeopardy and, hopefully, introducing an element of tension for the reader. The biggest influence on my work is the Belgian author, Georges Simenon. To me, he is the master craftsman, brilliant at evoking setting and painstakingly delving into the psychology of his characters. He also writes in a very sparse, economical way, which is the kind of prose I aspire to write. It was quite a long road to find a publisher for The Disappearance of Adèle Bedeau. I got taken on by an agent who was very helpful in developing the manuscript, but they weren’t able to find a publisher. 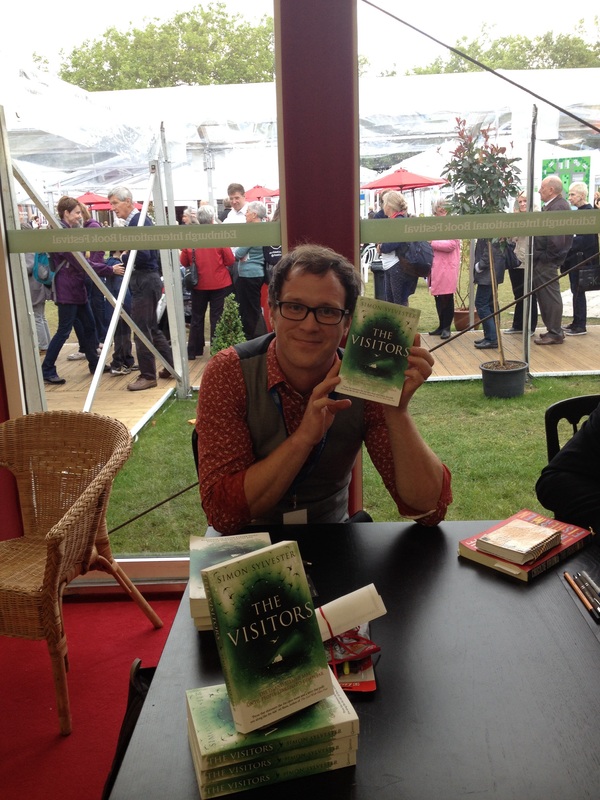 I then sent it to some independent publishers and feel very lucky to have been picked up by Saraband. The book maybe doesn’t fit comfortably into the mainstream crime genre, but I think independent publishers are perhaps more open-minded about the books they take on, and more willing to look at the quality of an individual manuscript, rather than just looking for things they think will fit their list. The central character, Manfred Baumann, is a twitchy, ill-at-ease outsider, a bit creepy I’ve been told. I think when you’re writing something it’s important to strongly identify with your characters, however fucked up they are. I also love my detective, Georges Gorski, a similarly flawed figure, but Manfred is my favourite and I suspect always will be. The Disappearance of Adèle Bedeau was initially inspired by a chance visit to a traditional bistro in the small French town of Saint-Louis where the novel is set. I didn’t do a huge amount of research, but I did return to the town towards the end of the writing of the first draft, mainly to find locations for certain scenes. On the other hand, my new book, His Bloody Project, is set in a crofting community in Wester Ross in 1869, so I had to carry out a fair amount of research into the way of life at the time, as well as into nineteenth century psychiatry and the legal system. A couple of characters in His Bloody Project are based on real historical figures (albeit very obscure ones), but I don’t base characters on people I’ve met. At least not consciously. I’m not sure I’d feel very comfortable doing that. I don’t actually read that much contemporary crime fiction, so it’s hard to say. But my books are maybe less focussed on the solving of the crime than on exploring the impact of that crime on the characters involved. Manfred Baumann is a rather paranoid character, constantly over-analysing the most trivial events. He finds himself in a few situations I’ve never been in, but he probably reacts to them as I would. He’s basically an exaggerated version of myself. 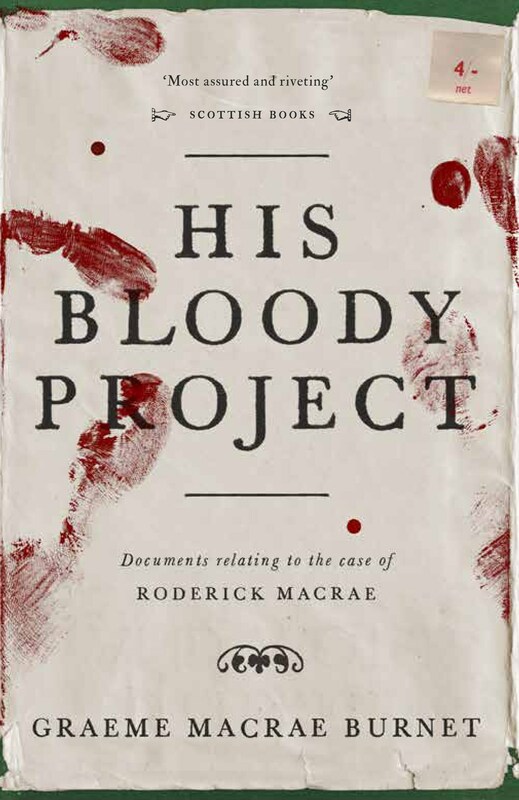 My second novel, His Bloody Project: Documents Relating to the Case of Roderick Macrae (to give its full name) will be published by Saraband on 5 November 2015. As I mentioned, it’s set in the Scottish Highlands in nineteenth century, and it concerns a brutal triple murder carried out by a seventeen-year-old crofter. The story is told through a series of ‘found documents’ – memoirs, newspaper reports, police statements, and the like. It’s pretty different from my first book, so it’ll be interesting to see what people make of it. It’s always a great feeling when you get in a bit of a groove and feel that you’ve more or less nailed a scene at the first attempt. There’s a chapter in The Disappearance of Adèle Bedeau describing how Gorski met his wife, which I wrote long-hand, on a sunny afternoon in a park in Berlin, quaffing bottles of beer. Maybe it was the beer, but it flowed out with rare ease and remains one of my favourite parts of the book. The internet is awash with advice, but I think if you get over-concerned about following too much of it, you could end up writing something formulaic and lifeless. So I would say, write what you would like to read yourself, not what you think someone else would like to read. Documents relating to the case of Roderick Macrae. A brutal triple murder in a remote northwestern crofting community in 1869 leads to the arrest of a young man by the name of Roderick Macrae. There’s no question that Macrae is guilty, but the police and courts must uncover what drove him to murder the local village constable. And who were the other two victims? Ultimately, Macrae’s fate hinges on one key question: is he insane? A story ingeniously recounted through the accused’s memoir, trial transcripts and newspaper reports, His Bloody Project is a riveting literary thriller that will appeal to fans of Hannah Kent’s Burial Rites. Manfred Baumann is a loner. Socially awkward and perpetually ill at ease, he spends his evenings quietly drinking and surreptitiously observing Adèle Bedeau, the sullen but alluring waitress at a drab bistro in the unremarkable small French town of Saint-Louis. But one day, she simply vanishes into thin air. When Georges Gorski, a detective haunted by his failure to solve one of his first murder cases, is called in to investigate the girl’s disappearance, Manfred’s repressed world is shaken to its core and he is forced to confront the dark secrets of his past. 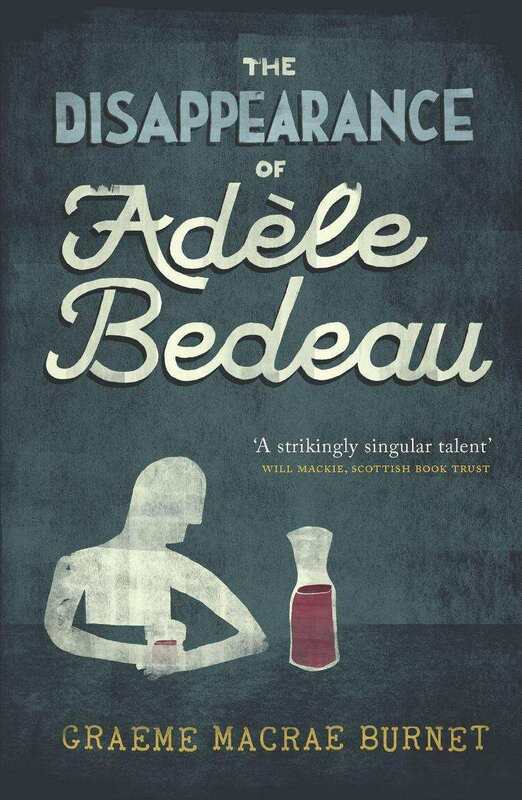 ‘The Disappearance of Adèle Bedeau’ is a literary mystery novel that is, at heart, an engrossing psychological portrayal of an outsider pushed to the limit by his own feverish imagination.